It’s that time again! 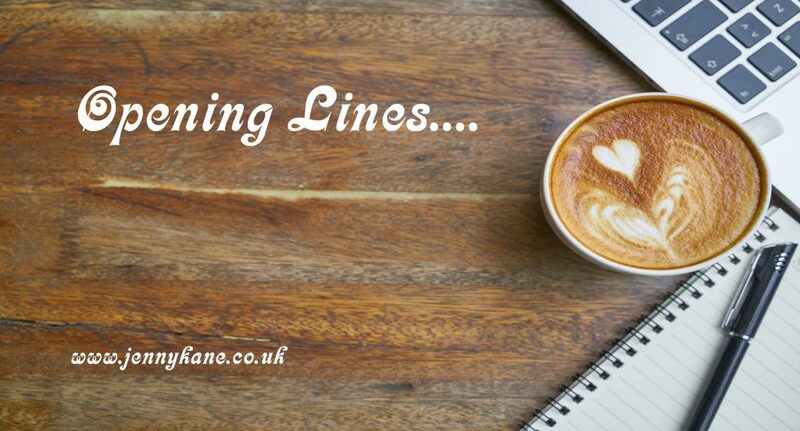 Opening Lines blog day is upon us. This week I’m welcoming Roger A. 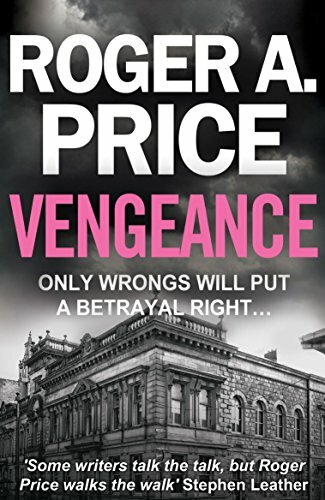 Price to my place, with the first 500 words of his crime thriller, Vengeance. I’m thrilled to a guest on Jenny’s Opening Lines blog which serves as such a great opportunity for authors and readers alike, and I can only thank her for all the work that running her blog must entail. I’m an ex-detective from a CID and Specialist Ops background who can’t really talk about what I did, but love to use those experiences to drive my pen. Authentic, gritty and pacy, my novels don’t let you rest for too long, hopefully. I hope you enjoy the opening to Vengeance, and thanks again to Jenny for having me stop by. Jack Quintel didn’t need to be here, he’d requested his usual proof of death, but as he hadn’t used this killer before, he wanted to see it for himself. It took him a while to find a spot among the trees, and he was conscious of not flattening too many bluebells that were everywhere at this time of year. He knew the killer Charlie was no mug, nor was the target, Jim Reedly. If all went well Quintel planned to use Charlie again. The last thing he wanted was for him to realise he’d been here checking up on him; after all, he’d asked for his normal, if not unusual, evidence that the job had been done. He just wanted to satisfy himself, and watch the killer’s craft. Enjoy the show. It was starting to go dusk so that would help; he just hoped Reedly wasn’t late home and it became too dark – he knew that wouldn’t bother Charlie, but he was beginning to wish he’d brought a pair of night-vison glasses. It took a couple of minutes to settle himself as he took in the surroundings. The house was a fairly new build, but a grand affair nonetheless, detached in its own grounds with a tree-lined private driveway – the privileges of rank. Its location was handy though, Fulwood was an established district of Preston and had more than its share of such houses – especially on the eastern side of the city where a lot of the newer builds were situated. It wasn’t far away from the industrial unit Quintel had hired, or had had hired for him. That was in a traditional brown field estate behind a newish built Asda supermarket. Perfect; as it backed onto the M6 motorway. Quintel always liked an emergency egress from anywhere he used; he was cautious, he had to be. Watching in the shadows, Quintel sees Parker shoot out Reedly’s windscreen, then drag him into the woods and thinks the job’s been done. But when Parker tries to pass off a pig’s heart as Reedly’s, things start to go very wrong. Jack’s right hand man Jason kills Charlie, who it turns out is an undercover police officer. Detective Vinnie Palmer is with the Preston police. He was called in when they received the information about the impending hit. Now he has to figure out how to clean up the mess. And he wants whoever killed Parker bad. He finds the man who put Parker in touch with Quintel, a low life hood named Dempter, living in an estate in Preston. He doesn’t know much, but motivated by money, agrees to be an informant for the police. Christine Jones is a TV reporter. She and Vinnie had worked together before, chasing a serial killer. They meet again at the warehouse where Charlie was killed, and realise their relationship could be more than professional. But first, Christine wants to know what’s happening. Christine is working on a documentary about positive discrimination against non-Catholic officers in Northern Ireland since the peace process. She makes contact with a former police officer in Northern Belfast named Paul Bury, who feeds her some of the information she needs. Meanwhile, as the bodies start to pile up in Preston, there’s another attempt on Reedly’s life, when a grenade is thrown at him at his brother-in-law’s funeral. As Vinnie fights to keep Reedly alive, suddenly Christine’s life is in danger. And they both start to wonder if the contract against Reedly has anything to do with her documentary on Northern Ireland. But how could it? Filled with twists and turns and gritty detail, Vengeance is must read for crime fans everywhere. Roger spent thirty years in the police retiring as a detective inspector in charge of a covert undercover drugs unit which received national acclaim, before turning to the pen. 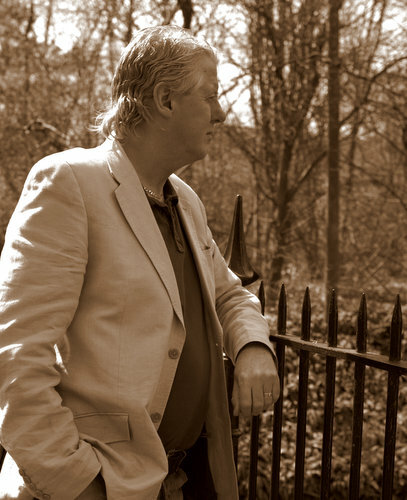 His first two novels – By Their Rules, and A New Menace – are in their own series driven from the covert side of crime and his ‘Badge and the Pen’ series is too but with normal investigative fiction thrown in as well. Vengeance is the second in this series which stars maverick DI Vinnie Palmer and his sidekick, investigative TV news reporter, Christine Jones. They are unlikely bedfellows, which makes their relationship interesting as they chase dark forces which only become even darker. The third book in this series – Hidden – is written and will hopefully be next year. Roger’s novels can be read in any order as they work well as standalones too. Roger is also developing an original TV drama script and is planning to adapt some of his existing novels into script too. Many thanks Roger. Great opener. Don’t forget to come out next week for some opening lines from Gilli Allan. Thanks, Jane, yours is another ‘must see’ blog for readers of all genres, thanks. Thanks for having me as your guest today, Jenny it’s been great so far, and I have made new friends too. Keep up the good work, you’re a star, cheers, Roger.